Most times, people think it is their mattress that causes them neck pain when they wake in the morning without knowing it didn't come from the mattress or sleeping position. Sleeping with a wrong pillow can cause waking up with neck pain. A good pillow for neck pain will help relief your neck pain, and it is vital for a restful night. Here is a list of the top quality sleeping pillow for neck pain. This pillow will aid quality sleep all through the night putting you in a comfortable position and make you wake up feeling brand new not tired. We will talk on the different pillow below, so you will be able to make the best decision and get good sleep for a better active life. This pillow is an ideal option for people who sleep on their back or side. 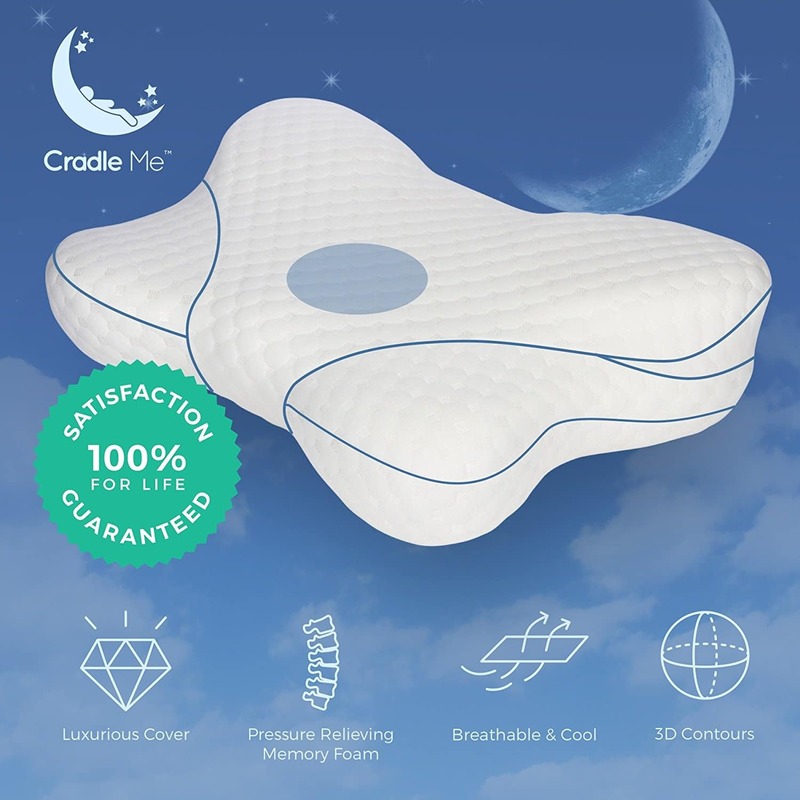 It makes you sleep conveniently and supports your sides, back and neck while sleeping. Medflow water pillow for neck pain can be adjusted to give you the desired amount of support and thickness you need whether what is your sleeping position. This pillow was found to be the best, getting the highest rating in all categories from clinical review at John Hopkins University. In this study, various categories were looked into such as the time it takes to sleep off using the Medflow pillow, how many times your sleep was interrupted to adjust the pillow, how much time it took to sleep back, did the pillow prevent neck pain?. 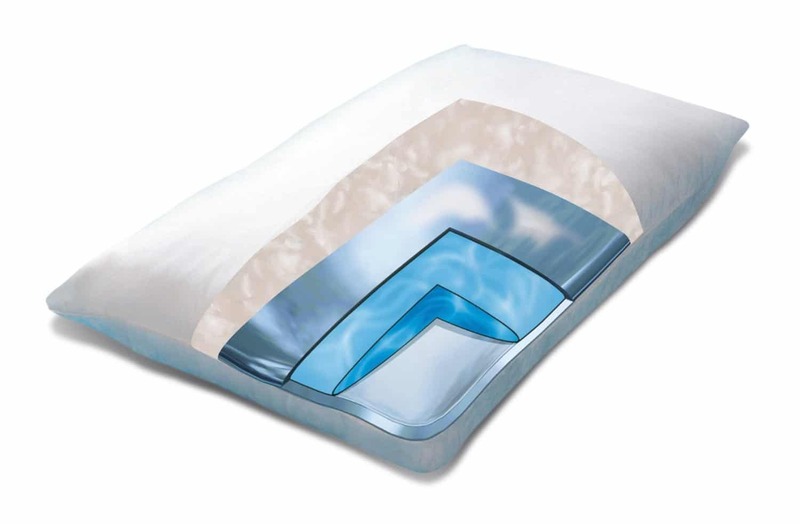 Astonishingly, the Mediflow water-based pillow came on top especially in the prevention of neck pain. This pillow for neck pain and back pain enables you to sleep in any position you prefer. It is ideal for people who sleep on their side, stomach or back. It gives you ultimate comfort that soothes your neck while you sleep. Air flow in between the foam and this makes it cool during the night. The mixture of bamboo and polyester material does not allow it take moisture in and doubles its coolness for topmost comfort. The materials used in producing this pillow are hypoallergenic, and this encourages healthy sleep. The material of the foam inside is better than pillows filled with the curtain. This foam will maintain its shape and fit perfectly to your body as you sleep. Cotton pillows flatten in no time and do not support your neck while sleeping which might cause neck pain when you wake. Pinched nerves or Neck pain may lead to a migraine, to going sensations know the hands and feet, pain in the shoulder and lower back. At times, you might just feel weak all through the day. 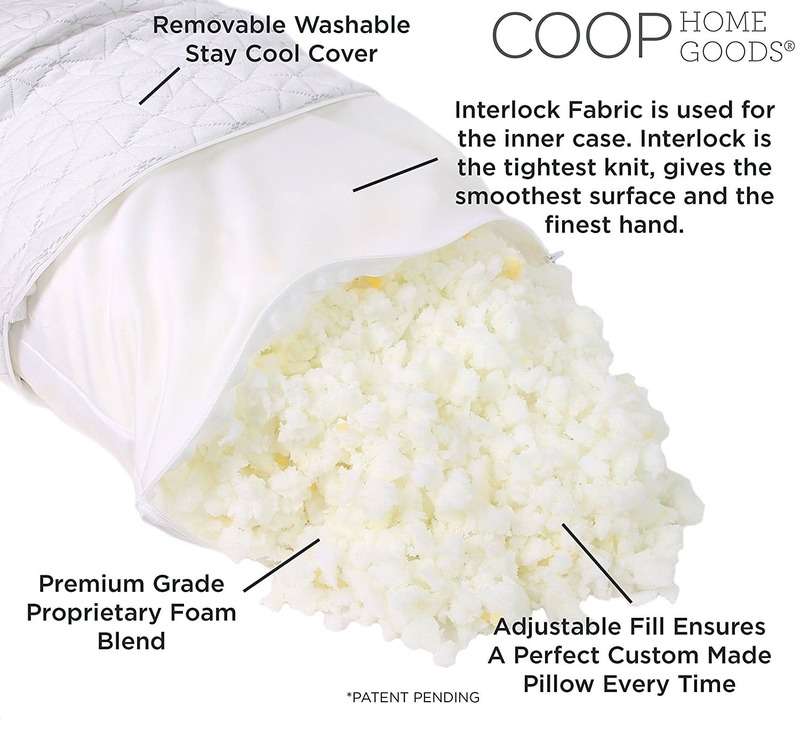 This Coop home goods shredded product gives great brilliance in creating a powerful sleep enhancer. This company's aim is to produce excellent bedding comfort, and they have the warranty on this product to ensure your satisfaction. This pillow is ideal for all positions of sleep. Either sleeping on the side or stomach or back, this pillow is adjustable to suit you because of the ability to maneuver the inner foam. It is firm, and it gives your head and neck comfort to prevent neck pain. For people who sleep putting their hands under the pillow, this pillow is just for them. Because it can be adjusted, it gives plenty of allowances to shape the pillow anyhow you want it. 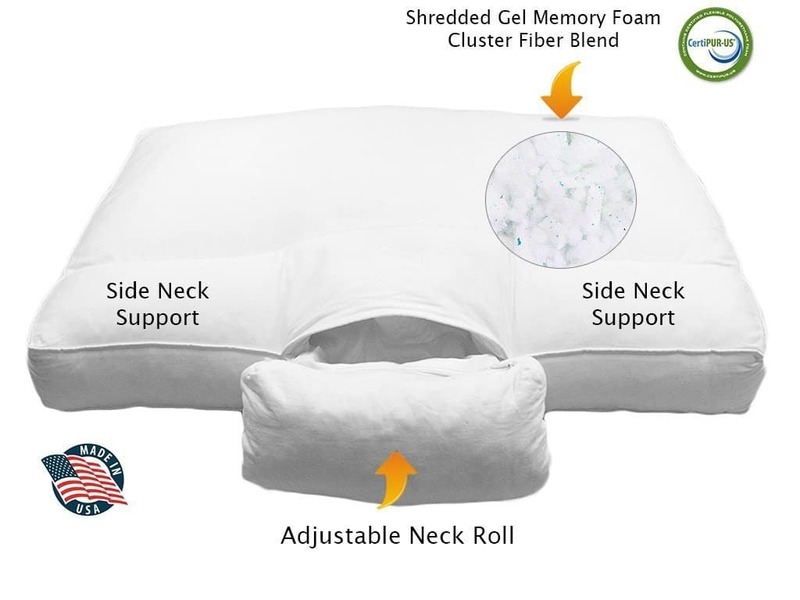 The fluffy and convenient pillow for neck pain material is the top quality shredded memory foam in the USA. It is moisture resistant due to the airflow system and the bamboo cover. The shredded foam also allows air to pass through Non-stop to prevent body heat during the night. This pillow by extreme comforts is flexible, unlike the solid memory foam pillow. The flexibility allows you to adjust it as you want and helps you maintain the perfect position overnight no matter how much you toss. The no questions asked assures you topmost security knowing that shredded memory foam pillow for neck pain gives you the best sleep. It guards your neck, and it's easy to maintain. It's mold resistant inner and hypoallergenic cover allows you to sleep well. 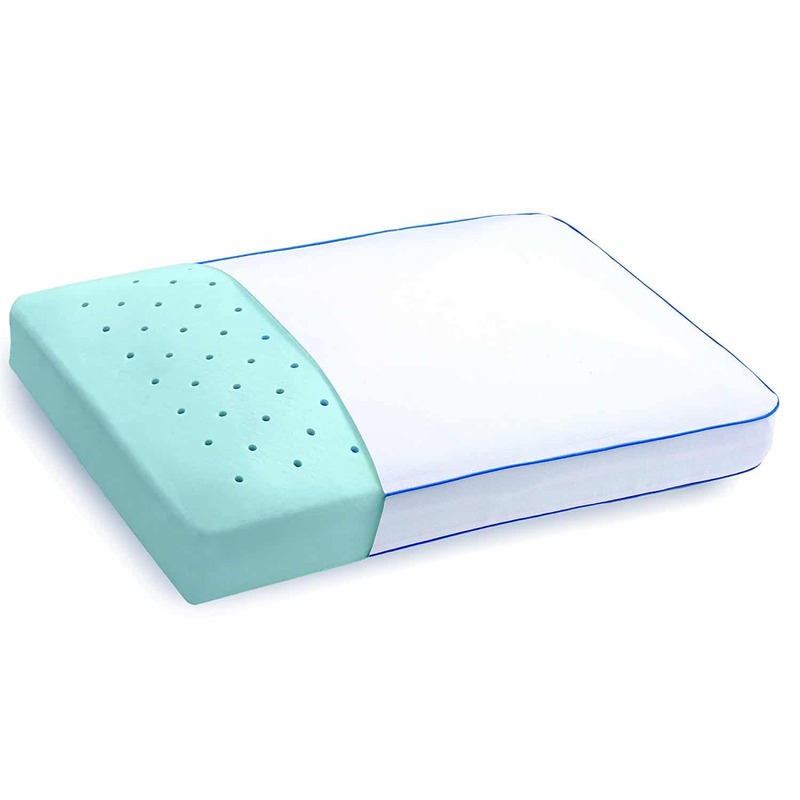 The inner part of the pillow produce from 1005 Certipur US foam, and vacuum sealed for eco-friendly shipping and safety. This orthopedic pillow is ideal for people who sleep on their back or side. It is one of the most special because it gives good sleeping position according to shape and size. It positions your neck and head well when sleeping on the back or side. The center tongue supports the neck near the area of the shoulder blades. A special characteristic of this orthopedic pillow is its wedge extension which gives support to your upper back. This therapeutic pillow for neck pain is produced with dense foam and doesn't flatten easily. It is the best contour pillow for people who sleep on their sides because of its perfect side wings to put your head when sleeping sideways. It won't make your head move forward or backward. The pillow has a free polyester/cotton pillow cover that can be removed and washed. To buy this one, you will select from different sizes as stated on their website. 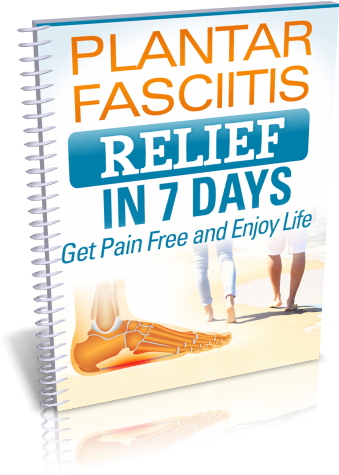 Some consider it a life saver because it has helped them deal with neck and head pain that has lingered for years. However, some people think it is too solid, so the best thing is to choose the one that gives you the desired comfort. The Adjustable Neck Support can be adjusted to suit back, side and stomach sleepers. People who have neck or head complications should use an orthopedic pillow for neck pain that supports the neck and can be adjusted to your neck position. This design gives support to the neck optimally while it cradles the head and put your spine in a neutral position. This memory foam endorsed by CertiPur-US gives all round support, softness and calm comfort. It gives the neck firm support which allows the muscles to relax. This contour pillow helps to reduce neck and headache, it also lessens snoring, and aids proper blood circulation amongst others. It can be machine washed, hypoallergenic and resistant to Dust mites. It has a five-year warranty. 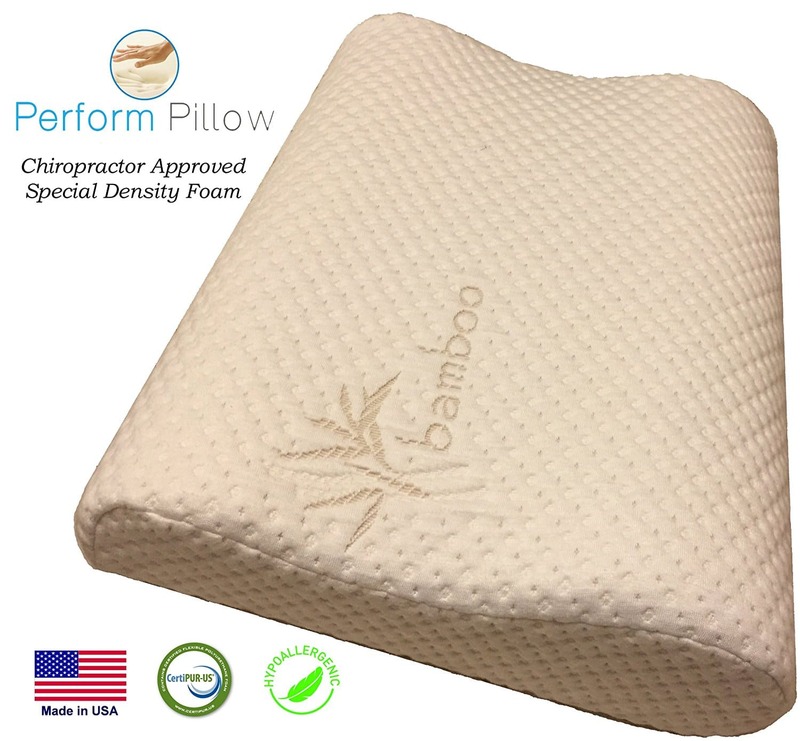 The patented design used in creating the Tri-Core Cervical Orthopedic Pillow was particularly to support the neck in different sleep positions. It is good for back, side and stomach sleepers. Whatever the sleep position, one will get a good night rest, due to the shape of the contour pillow. The thick paddings on edge help to keep the neck of side and stomach sleepers in a good position without getting to their face. Back sleepers can have their heads in the center depression, and the thick outer rim helps to keep the back and spines well aligned with the neck bolstered all through the night. To make a comfortable and lovely night rest for your family, the Tri-Core Orthopedic pillow for neck pain comes in 3 sizes. Initially, you might be discouraged by the shape of the Tri-Core pillow because it does not seem like the kind of pillows we used to see. It has deep depression at the center and sides of different sizes, all for a good neck support. The right support is gotten all through the night because of the different thickness of the sides. Standard and gentle, these are the firmness levels available. They both give a great support and are produced to give purchasers a choice to choose between soft, plush fill and extreme fill levels. The Tri-Core Cervical Pillows are manufactured from durable and easy to care materials especially to prevent neck pain. Smooth air flow is allowed by the inner fiber. This reduces heat buildup and affords a comfortable sleep. 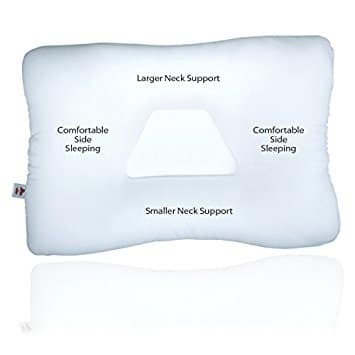 This contour pillow is appropriate for any sleep position – back sleeping or on the side sleeping (stomach sleeping is not good) – and we have different sizes for different people. The Perform Orthopedic Pillow Memory Foam Neck Pillow gives an excellent back, neck and shoulder support because of its particular design for comfort and stability and the extra breathable foam used in its build up. The contour pillow for neck pain is eco-friendly as it does not contain mercury, lead or formaldehyde. It is an amazing option for those with allergies as it is hypoallergenic, machine washable and dust mite-resistant. 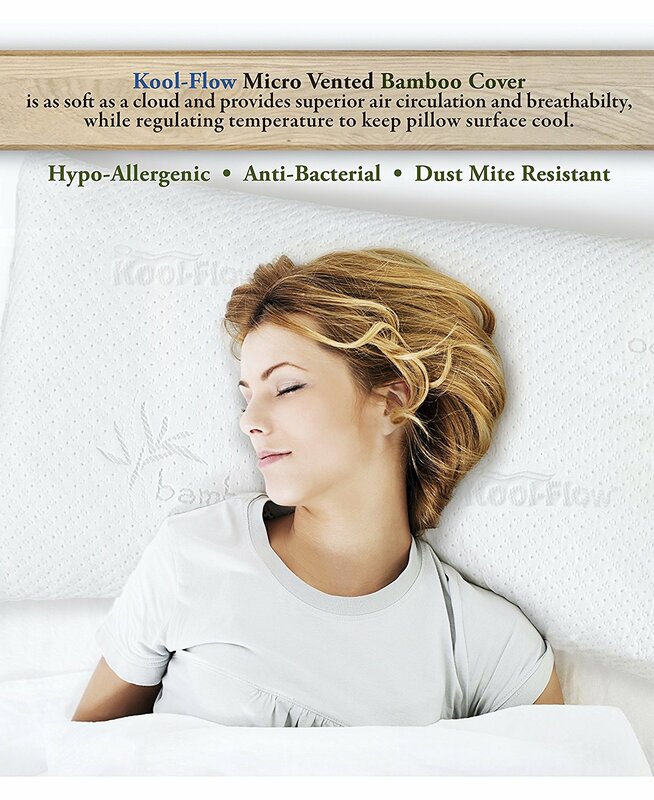 The cover makes from a luxurious Kool-flow (micro vented bamboo). Finally, it possesses its initial shape and dense supportive foam for a long time, unlike the low-end memory foam that wraps and lumps after a while. The sleep yoga dual position neck orthopedic pillow specially made for side sleepers and back sleepers. The stitching was used to partition the pillow into four sections, and it has a contoured design. Its thinnest is 2.5 inches and thickest at 3.25 to 3.5 inches. 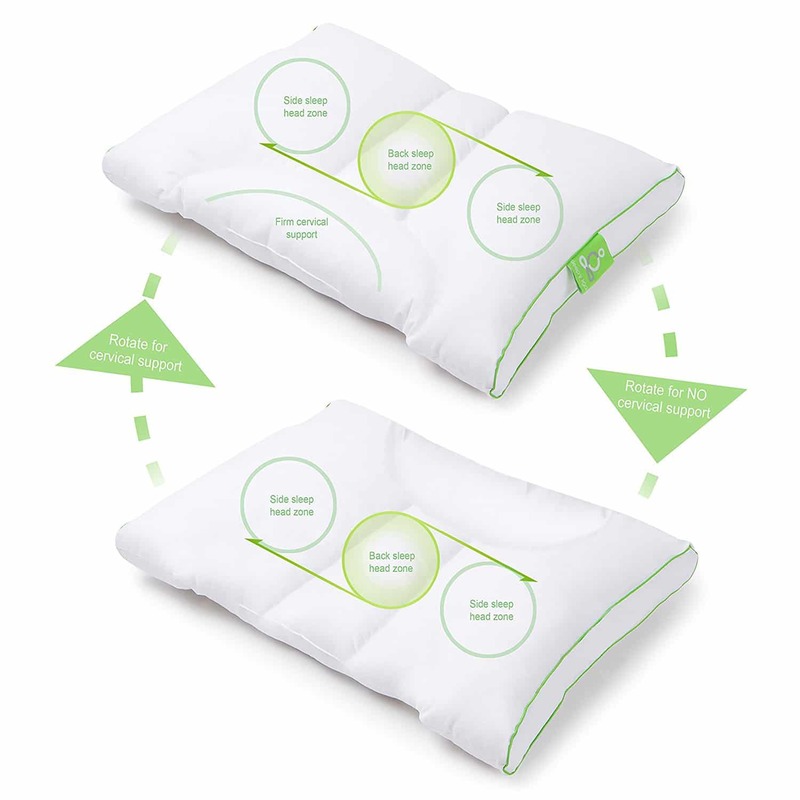 There is an easy way to transit from back sleeping position to side sleeping position without folding the pillow. The contour design can make this enable. The contour and the bottom section that has a natural curve of the neck provide additional support to our neck. A chiropractor was used for the design to provide a careful consideration of the angles and contours. There are two firmnesses available of the sleeper Yoga Orthopedic Pillow –medium firm and medium soft. Small adults and young sleepers are recommended to go for the medium soft. While maintaining softness, the medium firm pillow is best for most adults. The outer part of the pillow composes of 55% lyocell and 45% cotton. Durability, breathability, and softness are characteristics of cotton, but the disadvantage is that it wrinkles. Lyocell is thought to be a non-synthetic manufactured fabric. It has an absorbent and soft nature that is wrinkle – free and strong regardless of its moisture state. They are both hypoallergenic. 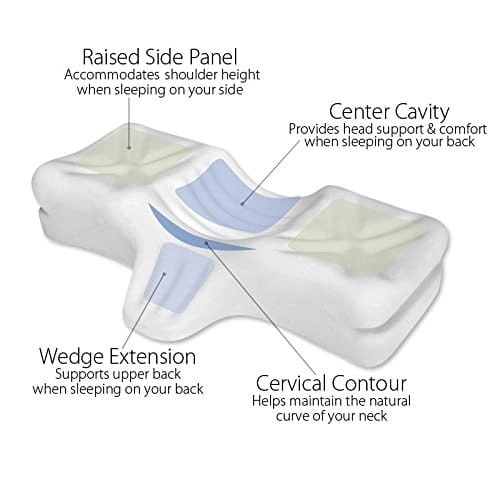 This Orthopedic Cervical Pillow gives a fantastic night rest regardless of your sleeping position. It is perfect for Side Sleepers and perfect for back sleepers. Giving optimum comfort, the unique memory foam with its butterfly shape has multiple Heights that provide excellent support in all the right places. It keeps the neck and shoulder muscles fully relaxed, thus relieving the individual of possible pains in the neck, back or shoulder. The orthopedic design of the pillow affords it to ease tension in the neck, pains, and stress. Rise from the bed feeling great! Order for yours and enjoy better night rests. Our product is a high-quality orthopedic pillow for neck pain that helps to sleep properly. As mentioned earlier, the pillow has an orthopedic design, unlike other types of pillows filled with gel. The material is high-end memory foams that contour to the shape of your head. It has a higher 10ft to give a proper spinal alignment which makes it suitable for side sleepers. This Serta Gel Memory foam design for the maximum provision of comfort and support. The exclusive design carefully cradles the head, neck, and shoulder. For improved airflow and comfort, it is made from gel memory foam and features cool vent technology. For full support of head and neck, it makes the height 10ft. The gel memory foam also gives cradling ease and provides for a well-aligned spine. The Serta Gel Memory Foam Side Sleeper Pillow provides comfort at its peak and supports the side sleepers, and it gives an ease feel over the night. The gel memory foam provides the best sleep temperature. It will never to get flat and to give a consistent support over the night. Memory foam material comes from the USA. Serta is notorious for its production of pillows, mattress, and other sleep products. It has however outdone itself on the side sleeper’s dream pillow! Best support for the head and neck alignment, cradled comfort and customized contour are unique features of the Serta Gel Memory Foam Side Sleeper. This product made in the USA, and it usually comes with a 5year (limited) warranty. It doesn’t go flat, so side sleepers do not have to worry about the pillow deflating. The optimum comfort of temperature and support is ensured by the durability and gel filling of the pillow. 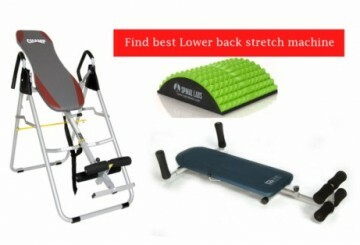 Pingback: Lumbar pains? Check out These Three Tips to Get Better Sleep!